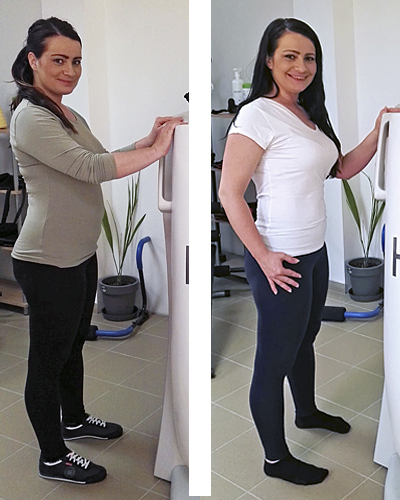 “I got to know HYPOXI via Facebook where I saw the results of clients from HYPOXI-Studio Magic. I immediately arranged an appointment for a personal consultation as my doctor recommended that I do HYPOXI-Training 4 months after my caesarean delivery. I am very happy, that within 2 month I have successfully reduced weight at my problem zones.